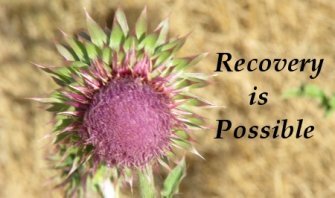 In meeting and working with addiction recovery patients over the years I have found that one of the most important aspects of their recovery is having the opportunity to share their story, their life experience. Valium Abuse stories don't often have a happy ending but what ever the ending sharing them is helpful. A former teacher of mine is a psychotherapist, who always talked to us about getting to the "essence of self" when helping people tell those all important Valium Abuse stories. It is the essence of self that drives the person's perceptions and creates meaning in life. Your Valium Abuse stories are important. You are not alone and maybe there is someone who will benefit from you sharing your experience. We encourage you to gather your thoughts and share them with us. Here are a couple of Valium Abuse stories that describe the process of recovery. We’re hoping that you will share your stories with us as well so that others can learn from your experiences. Many people tell us that it helps them to read others Drug addition stories because they understand what they've gone through a little better. Many times therapy sessions are simply a place where people come and share their Valium Abuse stories. You may find that sharing your Valium Abuse story anonymously is the first step toward dealing with addiction. Valium Abuse stories: Who knew this would happen? Please tell us your Valium Abuse stories! Please share your Valium Abuse stories with us and we will post it here and share it with others so it might help them. Hi, I guess I’m writing to get some support for what lies ahead. I’m 24 years old and although I’ve never used drugs, I have been affected by them greatly. I have always been a daddy’s girl. It’s never been a secret that the relationship I have with my father is stronger than the one I have with my mom. My dad is a drug addict. In the past I could have named his drug of choice (Heroin) but today I can’t tell you. He has used them all, heroin, crack cocaine, crystal meth, and speed just to name a few. His addiction started when I was a child, he played sports and was introduced to the drug by a fellow athlete. Although I know this person didn’t force him to accept I will never forgive him for the hell he has put me and my family through by introducing drugs into my father’s life. His addiction started with recreational use, he would use the drugs when he played sports. I remember my mom begging and pleading to family members to help her with my dad because he was on the “wrong path”. No one ever helped. Months went by and his recreational use turned into an addiction. When I was 5 my dad left home to live on the streets. He was a full fledged addict. Two years he lived on the streets only coming home when it got to cold to face the elements. He would sneak in at night (my mom left a key under the mat) and leave before we woke. I didn’t know who he was or what he looked like. I remember constantly lying when asked about him. Hey, where is your dad? Why didn’t he come to parent teacher interviews? Oh he’s on a business trip; he won’t be home for a couple of months. My mom knew that my dad was an important part of our lives so after work what little time she had between jobs she would go downtown and look for him. Only to ask if he would come home and visit with his kids who missed him dearly. She never found him. Soon she decided to move us to a smaller town. Before she moved us she made one last effort to get in touch with my dad. I remember her calling people for hours just hoping someone would tell her something that would bring him home. Then finally one of his friends, decided to help her out. He told her that he would bring my dad home. I remember the first day I saw my dad after his “extended vacation” I came home from school and he was lying there on the couch. I couldn’t even recognize him. I shyly asked my mom who the strange man lying on the couch was only for her to answer that it was my dad. He laid on that couch for three days while various people came and to meet him. The next two months were hard. My parents moved in with family to help him kick his addiction. Every day before my mom would go to work she would visit. After two long months my parents came home and my father was sober. He hung out with us like any normal parent would. We truly thought the addiction was behind him. But as they say old habits die hard. One of his friends gave him the drugs with which he relapsed. For the past six years now he has been using drugs. He has used his drug of choice (heroin) and when he didn’t have money he has sunk as low as using speed laced with household cleaners. Two months ago he got a bad fix of crack cocaine. I woke up to my father screaming that he didn’t want to die. I woke up after hearing the scream and ran to the living room. My younger sister not far behind. He was on the floor screaming and hitting himself and yelling at my grandfather (whom passed away 2 years prior) not to take him. I immediately threw myself on the couch and grabbed his arms from behind to prevent him from further hitting himself. My sister threw herself on his legs to prevent him from kicking. We stayed like that for what seemed to be an eternity praying out loud and asking god to help us save him. My dad settled down when the drugs wore off and we tucked him into bed. We checked on him periodically to ensure he was still breathing. I remember sitting on the couch with my mom and sister thinking is this really our life? We didn’t sleep that night and went to school and work exhausted. My mom staying behind to watch him. My arms and legs were covered with bruises much like my sisters. Since then we moved my dad to Calgary to be live with my brother, he was there for three weeks and did well. He stayed on his methadone (a prescription drug used to help heroin addicts) and was sober (only because he didn’t have a dealer). He complained and complained and came home on Wednesday November 15, 2010. Since his arrival he has been higher than a kite. All he cares about is his high and I don’t think we can live like this anymore. My sister comes home from school in three weeks, and we have agreed to have an intervention. We have set out our boundaries if he chooses to decline treatment. My younger sister has decided to eliminate him from her life completely. She will consider him dead. I have been advised to do the same. If he doesn’t choose to get better, he will not be invited to my upcoming wedding and I too will not speak to him again. My mother will move to Calgary and live with my brother. I’m scared he is going to choose the drug over us. And when he does I’ll have to stick to the boundaries I set up. I don’t want him to be all alone. I don’t want him to die and not have family there. I don’t know what to do. I can’t lose my father but I can’t continue aiding his addiction. All I can say is HELP what’s right and what’s wrong? Is there even a right and wrong? My heart breaks for you and your family. I too am not an addict but have dealt my entire life with family members who are. After many years of trying to help my sister who was addicted to anything and everything, and believing we were helping her by admitting her to rehabs, bailing her out, taking care of her and her kids, having her admitted to hospitals, doing whatever we could because we love her and believed we were doing whatever it took and each time believing and hoping "this would be the time she would stop". She had been homeless, tried to kill herself, we couldn't believe after everything she went through and every thing we tried to do to help she still couldn't stop. So we as a family had to do the hardest thing we ever had to do which was "stop" helping her. She was the "only" one who had to want to stop and the only one who had to do whatever she had to do to make that happen. (there is help out there if they want it). Well..after letting go she moved away and still finds herself in many situations and in trouble but the difference was we were not going to bail her out of trouble or any situations she got herself into. It was hard I am not going to lie, you love this person and you don't want to see them suffer, but we could no longer fix this or make it easy for her to use. We found out the more we helped the longer it kept her going. "The best thing you ever did for me was to stop helping me". It forced her to make that choice to either get help or she was going to die and she knew it. I still worry about her and will always love her, but your life is precious too and when you consume your life with trying to help a drug addict it robs you of your own life. Please try to get help for yourself and know that drug addiction is a force so strong and powerful and that you cannot stop this, you can only love him and hope and pray he survives and gets the help he desperately needs. Please take care and get help for yourself and more importantly no matter what learn from this and never try drugs yourself..
After reading the other comments sent to you I wanted to write to you again. I agree with the other writers and especially the comment that YOU ARE NOT ALONE. Also, I am finding out that I really need to take care of myself and to think of my self rather than thinking so much about the addict in my life. I truly believe that the best thing I can do for him - to leave him alone and let him deal with his problem - and, I believe, through the teachings of Al Anon, and after talking to my counselor and my minister - that that is the BEST way to help him. He must experience the consequences of his actions and I cannot make it easier for him as I have done in the past (bailing him out, getting him lawyers, helping him financially, etc.). Every day I give my life over to the Lord and ask him to keep us all safe and to let everything that happens to me come from him. This is working. I'm not saying that it is not painful sometimes. I just know that I have to learn to deal with this in a different way - change is hard! But, as I said, what I did for 13 years, over and over again, did not work and it is time for me to change. I know what your going through, I have a sister who is addicted to crack cocaine, She has torn our family apart, lost her children and that's what breaks my heart the most, those kids need her! Anyways, we have tried so hard to help her, we have done the whole intervention thing, she went to rehab just to get out and go to the drugs. It is hard, and it is not an easy thing to deal with, as of now she isn't in my life, this is my choice! I don't consider her my sister because she has hurt me and my family so badly! I have tried to help, I've paid for rehab for her, I've done all I can do and sometimes it's best to let the person go, and hopefully they realize what their life has become, and hopefully they will change. They need to do this on their own, they need to know and realize they have an addiction on their own, that's the only way they can kick the addiction! Just wanted to let you know, your not alone I know what your going through! I can definitely relate to your story. For many years I tried to help my son who is a drug addict. Finally, after many years, I realized that the best way to help him is to detach from him and to stop enabling him to keep his habit going by helping him. I have learned this mostly by going to Al Anon meetings, which are for friends and family of alcoholics and drug addicts. I must admit that this is very hard to do when you love a person but I have to keep reminding myself that this is the best thing for him and for me. I have to take care of myself, too, which I hadn't been for many years. For many years (13 years) I did everything to try to help him. Trust me, it didn't work. Trust me, it didn't work. He is now in jail for driving while under the influence of drugs. I could tell you many heartbreaking stories of what I have been through. I would greatly advise you to go to an Al Anon meeting. There you will meet other people with the same or similar problems. Also, you could speak to a clergy, a counselor or a medical doctor - to get help for YOURSELF. There may be no ?right way? to go about helping your father, but doing nothing is worse, and so your decision to have an intervention is a very good route to take. With the power of the entire family, united and steadfast, your father will hopefully see that losing the relationship with those he loves is a dreadful price to pay for getting high. Addiction robs people of any sense of dignity, self-worth and hope. Moreover, he has lost out on seeing his children grow up, the sports events, recitals, graduations and if he were to throw away the opportunity to see his little girl get married that would be tragic, regrettable mistake. Addiction doesn't care about anything or anybody. It destroys people and families. There is nothing redeeming about being an addict, but there is choice. If he goes into treatment and gets involved in a strong recovery program, there is hope. My prayers will be for your family, for your mom especially. This is a difficult journey for you. You might consider calling Al-Anon to seek some family support. When the darkest moment of human experience casts that fateful shadow over everything, remember that God?s light will shine for you. You can turn to the faith community for help. May the Lord bless you and keep your family together.